Can't Miss Winter Events - Ohio. Find It Here. The gifts have been unwrapped, and the decorations are stowed away. The holiday season has officially come and gone – but that doesn’t mean the fun has to end! Embrace the season with comfort food, festivals, sweet treats and more events that all your friends and family will enjoy. Become one with nature at Beech Creek Gardens’ annual Bird in Hand in Alliance. Take in chilly winter air as you explore the outdoors and hand-feed wild chickadees. Your little ones will love the “Play-viary” filled with a variety of both fun and educational activities, and all can enjoy an outdoor fire, hot cocoa and roasting marshmallows! Trek through exquisite Hocking Hills scenery while sampling all your favorite comfort foods at twelve different area restaurants. Don’t feel guilty indulging, as $5 from each ticket will be donated to local food pantries and you can burn off calories hiking or walking through trails, frozen waterfalls and more. 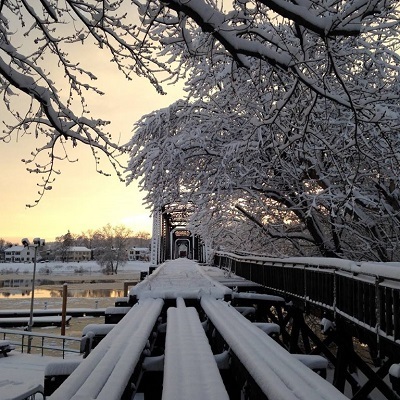 Head to Historic Downtown Logan for their annual Logan Frozen Festival. Watch in wonder as more than 30 unique ice sculptures come to life and spend the rest of the day playing games or skating on the iceless skating rink. Treat yourself to food from the food trucks and sample selections of both wine and beer at Brewery 33, Hocking Hills Moonshine and Hocking Hills Winery. The fun continues with music, an art exhibit, and special guests. You don’t want to miss this! Celebrate Dr. King’s legacy with Martin Luther King, Jr. Day Weekend at the Ohio History Center in Columbus. Kick off this 3-day event with a visit to the art exhibit Black Heritage Through Visual Rhythms, open now through January 21. Delve deeper into the exhibit and its meaning through Art + Activism = Social Consciousness, and don’t miss the film screening of the biopic Blooms for Real: The Late Teenage Years of Jean-Michel Basquiat, both available all weekend-long. Get ready for all-things chocolate at Chocolate Meltdown! Presented by the Miami Art Museum, this sweet event features dozens of yummy vendors, an amateur baking contest, auction and raffle, art exhibit and plenty of activities for the whole family. Browse more than fifty vendors of high-quality antiques from the 18th-20th centuries at the Lebanon Antique Show and Sale. The longest running antique show in Ohio, this event features novelty items such as furnishings, decorative arts, textiles and jewelry. Find one-of-a-kind items and enjoy delicious food, also on-site. The festivities begin at dawn for Buckeye Lake Winterfest, where Benny the Bass will predict when spring will arrive! Bars and restaurants will offer specials, with plenty of activities all day long, including fireworks. Bundle up and enjoy discounted family fun at Snow Trails in Mansfield! 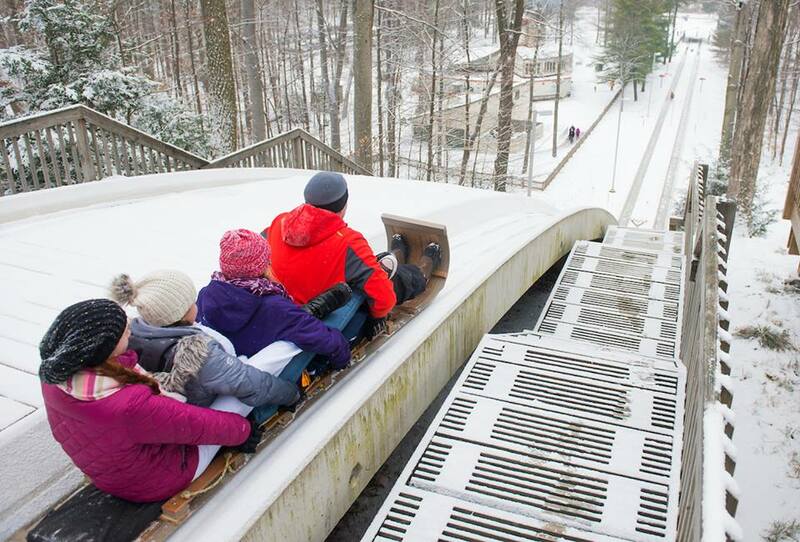 Catch a ride on the ski lift, try your hand at skiing, or snow tube with the entire family. Save on everything from group lessons to rentals at this all-day event. Both you and your little ones will enjoy Bowling Green’s annual WinterFest. Featuring everything from an ice garden and carving demos to a Winter Market, live entertainment, snacks and carriage rides – you won’t want to miss this. Get ready for a great two days of festivities! Celebrate this Valentine’s season with those who mean the most to you at North Canton’s Valentine’s Dinner and Dance! Hosted at Fieldcrest Estate, you can enjoy a gourmet meal by the fire followed by music and dancing all evening long. Extend your night by booking a room at The Inn or The Lodge. Co-produced by Arnold Schwarzenegger, The Arnold is the largest multi-sport festival in the nation. This four-day event in Columbus features thousands of athletes competing in over 40 sports and events, including 12 Olympic sports. Catch talented athletes as well as hundreds of vendors and booths offering the latest in fitness apparel, equipment and more. For more winter events and excitement, Find It Here. at Ohio.org.